This is not your typical lemonade. I call it "Lemon Water" although it is slightly sweet. 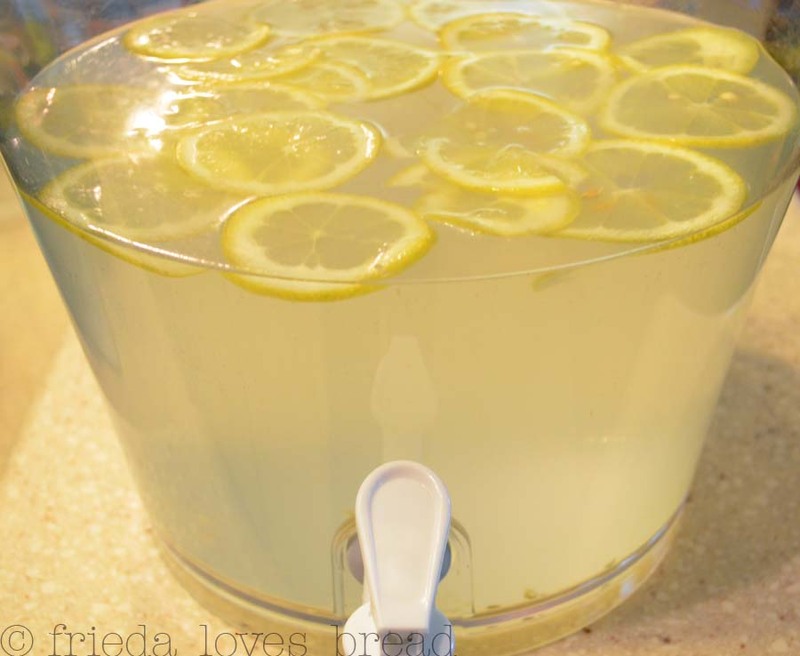 Other bloggers have called it "Citrus Water Punch." Whatever it is called, it is GOOD. This is a light, refreshing, drink that is slightly sweet with lemony notes, and with just a mild tang. It is so easy to whip up in this clear beverage dispenser, usually found at Costco or Sam's Club. The lemon slices were quickly and easily sliced on my OXO mandoline, which not only adds a pretty touch, but some additional lemon flavor. You can see my review of my mandoline slicer here. All you need is this recipe, Pure Lemon extract, citric acid, sugar (Splenda or other alternative sweetener) and water. If you have any of this yummy lemon water left over, be sure to remove the lemon slices before storing in the refrigerator, as it will turn the drink bitter. Enjoy your moments of summer with this refreshing drink! 4 simple ingredients come together quickly and easily, especially if you do not have access to fresh lemons. Light and refreshing, this is wonderful on a hot summer's day! 1. Pour cold water into a large pitcher or drink dispenser.2. Add sugar, pure lemon extract, citric acid and stir well.3. Serve cold, over ice cubes if desired.